Marx talked about “Capitalists” and “Workers”. That terminology is loaded with a ton of emotional baggage left over from the Cold War era, so instead I’m going to talk about “Corporations” and “average Americans” — most all of whom are at work these days, now that two-job families are not only the norm, but are actually necessary for survival. Also, I would be remiss if I did not extend my thanks to Senator Bernie Sanders, for making democratic socialism into a recognized, understood, and generally accepted term. Marx’s brilliant insight was that the same things corporations do individually to reduce their costs have, in the aggregate, the effect of depressing the market they’re trying to sell into. He called it, “The Paradox of Capitalism”. Individually, as each company does these things, profits go up. But in the aggregate, the effects are highly detrimental — to society, and to the very market the corporations are trying to sell into. Minimizing taxes reduces the infrastructure that corporations need to move goods and information, making it harder to do business. Minimizing wages reduces the buying power of the local market. Fewer people have jobs, and those that have one are making less. Minimizing material costs also reduces the buying power of the market. Exploiting the environment has a delitorious effect on the market, by decimating the population and harming workers. The problem is, in essence, the tragedy of the commons, where everyone has incentive to act in their own self-interest — but when everyone does so, the effect is tragic for the “commons” (a public grazing area used by all). Only corporations are much more powerful than single individuals using a common grazing area, and the damage to society can be — and currently is, unfortunately — much more damaging to society. What Marx had no way to anticipate was the way in which corporations would grow so big that they would effectively engineer a hostile takeover of the government — all due to the fact that, absent a voting advice system, so much money is required to win an election. The problem, as we will see in the next section, is that government needs to act as a controlling influence on corporations. Having corporations in control of the government is like a basketball game with no referees. Anything can happen. The resulting lack of restrictions not only harms society, it also allows for the “race to the bottom” that effectively destroys the very market that corporations are counting on. 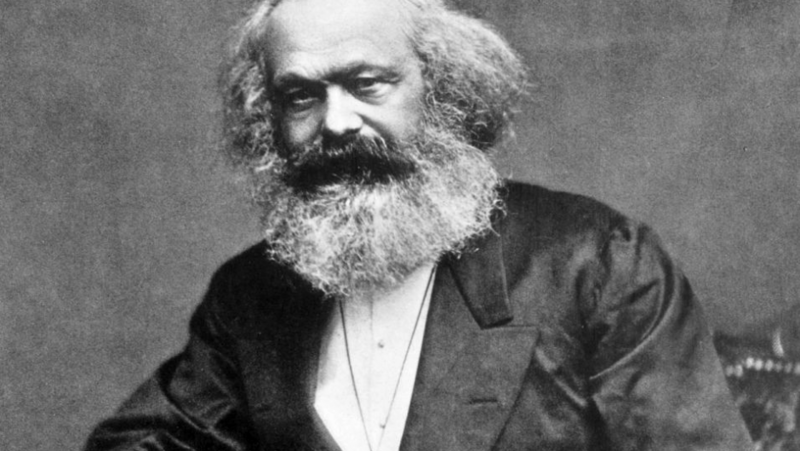 Marx went off track when he recommended an entirely different social structure — socialism, in lieu of capitalism. As history and basic human psychology shows us, such systems have a hard time working. Of course, we know that now. In retrospect, it’s easy to see. So every purely socialist country was a “noble experiment” that eventually found it had to adjust its policies, in order to survive. But what Marx missed was the possibility that government could act to prevent the Race to the Bottom, and thereby eliminate the Paradox of Capitalism. OSHA standards, which keep people from dying when working on bridges and skyscrapers, and the like. Building codes, which keep structures from totally collapsing during an earthquake, for example. It is important to note that the government’s ability to apply those controls is diminished by the aggregate failure to pay taxes — with an adverse affect on corporations, as well as average Americans. As I have argued elsewhere, if government has any justification at all, it is in its ability to embody wisdom. It currently does so by preventing acute, immediate harm in the short term — by poisoning the air or food, for example. But it should also act to prevent chronic, long term harm. In Ancient Egypt, for example, the government taxed grain and stored it, to protect the population from the floods that ravaged the country every seven years or so. Today corporate agriculture profits from selling substandard foods, food manufacturers profit from the inclusion of unhealthy ingredients, while doctors, drug companies, and hospitals make billions from the diseases that result. Government can and should act to prevent that kind of harm (as well as environmental destruction). Drugs, medical procedures, and visits to the doctor are included in our nations “GDP”. If those expenditures were deducted, as they should be, we would have a truer measure of how much we are actually producing as our Global Domestic Product, and what it is costing us to do so. Of course, a population that stays healthy in the long term represents a workforce that can produce more, and a market that can buy more. But still, those controls are mostly in society’s interest, since corporations will gravitate to any sphere in which there is profit to be made. If that is in the field of drugs and disease care, so be it. It makes little difference to the corporation. That fact, all by itself, is an argument for restricting the activities of corporations — to ensure that they are acting in society’s best interests, in the long term as well as the short. But like any good sales person, if we want to get corporations on board with this program, we need to show that government controls are good for them. That is the subject of the next section. Now, at last, we come to the crux of the matter — what Marx missed, in his analysis. By giving us a choice between “capitalism” and “socialism”, Marx presented us with a false dichotomy. He forced us to choose between two systems neither of which, in the end, are very good for us! As we have seen, as corporations compete with each other, they “race each other to the bottom”. In the end, the aggregate effect is to have a government that has little or no tax revenues, a workforce with little or no wages, and local suppliers who have few or no buyers, because most of the buying is done offshore. Not to mention an environment nobody can live in. In the end, then, the infrastructure that business depends on is destroyed, along with the market it wants to sell into. Establish a minimum tax, to maintain existing infrastructure and expand it. Establish the minimum wage and other worker benefits that, far more than being a “welfare” program, actually works to maintain market viability. Make local purchasing cost effective, by adding taxes to outsourced products. Of course, there is a proper balance. Outsourcing some materials helps to improve foreign economies, which in the long term creates an even bigger market. The question is finding the right level. Ensure the safety of humanity, and even its long term existence, in a way that shares the costs equally. Those actions prevent the “race to the bottom”. Together, they work to protect wages, the health of the average American, and the environment. More importantly, requiring all corporations to do those things removes the reward for misbehavior, by preventing an unethical organization from having an unfair advantage over an ethical one. Of course, to do those things we’ll need to wrest control of government away from the corporations who are now effectively in charge. To do that, we must first circumvent the dominating influence that corporate money currently has on the election process — something which I argue can be done using directed social media to form a Voting Advice System. Learn more: What’s Wrong with American Corporations?